The University of Rochester is marking the annual International Women’s Day on March 8. The day, born out of labor movements at the turn of the 20th century in Europe and North America more than a 100 years ago, recognizes women’s achievements while simultaneously trying to increase support for women’s rights and wider participation in political and economic life. Rochester, of course, has long played a pivotal role in the nation’s history of women’s rights, with the suffragist movement firmly rooted in the city through the tireless work of one of its most famous residents—suffragist leader Susan B. Anthony. The University today boasts two distinct entities that bear her name: the Susan B. Anthony Center and the Susan B. Anthony Institute for Gender, Sexuality, and Women’s Studies. The Center works to raise awareness and advocate for social justice and equality, often through partnerships, in order to translate research into policy. The Institute, meanwhile, encourages an interdisciplinary approach to research and learning by focusing on the changing cultural, economic, political, and psychological relations among people of all genders and sexualities. 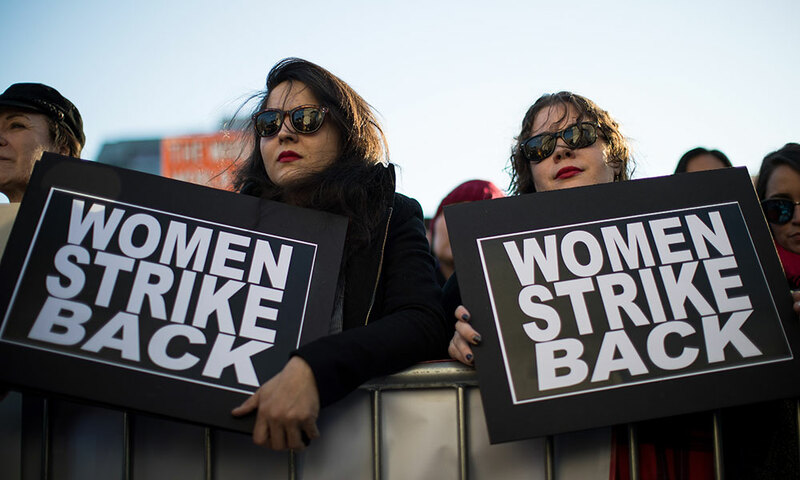 According to the United Nation’s chronology, the US observed the first National Woman’s Day in 1909 when the Socialist Party of America designated the day in honor of the 1908 garment workers’ strike in New York, where women had protested appalling working conditions. “Many of our international faculty, staff, and student colleagues at the University recall the importance of International Women’s Day in their home countries, while here in the US it is not generally observed,” notes Spanish professor Beth Jörgensen who is a member of the University’s Commission on Women and Gender Equity in Academia. That’s why the commission decided to mark the event on campus by hosting a panel discussion titled “Raise Your Voice” with local activists at 5:30 pm in the Hawkins-Carlson Room inside Rush Rhees Library on March 8. One of the speakers is Jane Bryant, program manager for the University’s Susan B. Anthony Institute for Gender, Sexuality, and Women’s Studies. “We still have a lot of work to do. We’ve made enormous strides in the last 100 years, but we still don’t see enough gender diversity in positions of power,” agrees Antoinette Esce ’15, a medical student and co-chair of the commission. “Taking a moment to celebrate and learn from these local leaders is a wonderful way for us to stay positive and forward thinking as we continue our work,” says Esce. What turned her into an activist? Esce still remembers that sinking feeling in her high school biology class when she realized that the English chemist and X-ray crystallographer Rosalind Franklin did “all that work on the structure of DNA and got none of the credit” until well after her untimely death at age 37. There are so many points of entry into activist work, agrees Bryant who hopes more people will get involved. Leveling the playing field for women is, of course, more than one day’s project. Chad Post, director of Open Letter—the University’s nonprofit literary translation press—is taking the long view. He has been publicizing the “stunningly bad” figures for international women authors’ publications in English, compared to men’s. Using the Translation Database he developed at Rochester to provide formerly unavailable data on the translation market, Post found that just 29 percent of translations published between 2008 and 2017 were by women. With support from the National Endowment for the Arts, Open Letter is working to help change that number. The Open Letter Women Writers Series will offer six new translations by women this year.